(KJB) John 1:18 No man hath seen God at any time; the only BEGOTTEN SON, which is in the bosom of the Father, he hath declared him. (NIV) No one has ever seen God, but God the One and Only, who is at the Father’s side, has made him known. (ESV) No one has ever seen God; the only God, who is at the Father’s side, he has made him known. The NIV and ESV call the One at the Father’s side, “God the One and Only” and “the only God”. Apparently then, the Father is not God, which makes no sense The verse doesn’t even say that Jesus is God’s Son at all here. (NASB) No one has seen God at any time; the only BEGOTTEN GOD who is in the bosom of the Father, He has explained Him. These two read along with the JWs NWT doctrine and makes Jesus a BEGOTTEN GOD, instead of a begotten SON. Yet, modern version supporters will reject the NWT but accept the NASB or Amplified as “valid” Bibles, despite the same BLATANT DAMNABLE HERESY of making Jesus a CREATED god. For this one horrific heresy alone, the NASB should be rejected by anyone with the spiritual discernment of a dried raison. 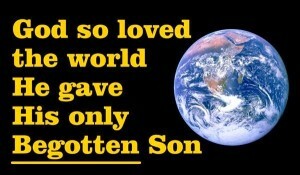 (RSV) No one has ever seen God; the ONLY SON, who is in the bosom of the Father, he has made him known. (NLT) No one has ever seen God. But his ONLY SON, who is himself God, is near to the Father’s heart; he has told us about him. (CEV) No one has ever seen God. The ONLY SON, who is truly God and is closest to the Father, has shown us what God is like. These three err in the other direction. Whereas the others omit the word “Son”, these omit the word “begotten”. So now we have Jesus being the ONLY Son of God. Batfeathers! 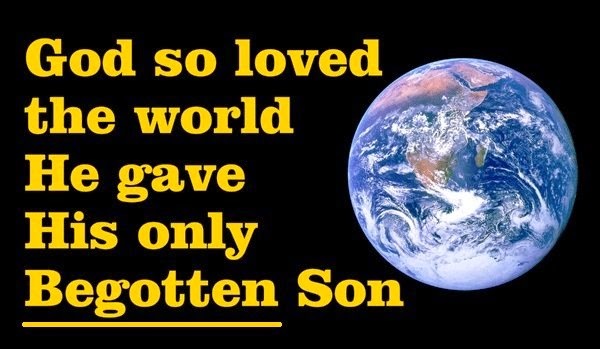 I’M a son of God – so are you if you’re saved. ANY saved person is a Son of God! This is a doctrinal error. No matter how you slice it, these all say DIFFERENT things. They do not say the same thing in different words. They do not have the same “message” or doctrine here.